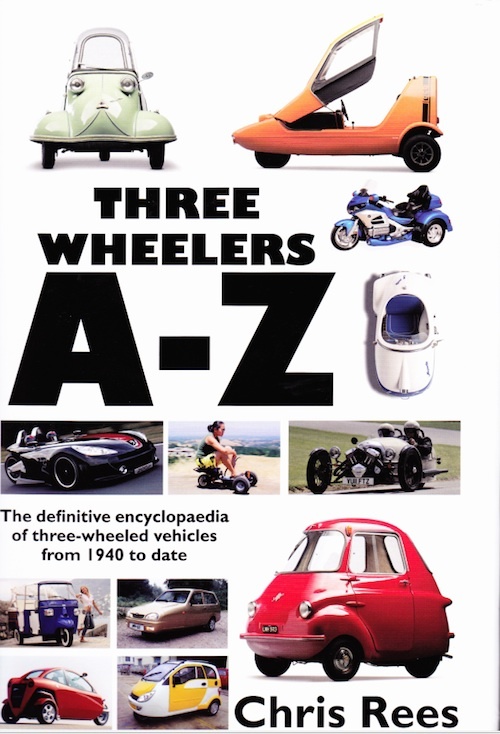 Author Chris Rees has chosen to go into detail on 1,122 makes of three-wheelers from 57 different countries from 1940 to virtually the present day. The author says “only production vehicles are included, which means the car should have been offered for sale to the public, or at least there has to be evidence of a credible intention to market the vehicle.” Each entry gives the country of origin, dates between which it was made, wheel layout, and the number built. Perhaps it would have been helpful if the full address were listed as well as the country of origin. Each make has at least one photograph, some are rather small but in most cases this is because few pictures survive. I am really not knowledgeable enough to comment on accuracy, but I am amazed at the variety. There were hundreds of makes I had never heard of, some of which never got beyond the making of a single prototype. Did you know that Mercedes-Benz made a three-wheeler? This was the F300 Life Jet that was shown at the 1997 Frankfurt Motor Show. It could tilt and was powered by an A160 1.6L engine and was said to have a top speed of 160 mph! The NAO Design Aphaenogaster made in the USA is thought to be the smallest built at 40 inches long x 22 inches wide. One of the quickest was the single-seat TriSport Scorpion made in the UK with a top speed of 145 mph, built as a racing car. There were even plans for a road-going kit with cycle fenders and a single headlamp. Built as a two-seater was the American Tritan A2. It was tried out by the president of Domino’s Pizza and some were ordered for use by the chain, a pizza box taking the place of the passenger. There are a number of versions that are designed to fly such as the Dutch Pal-V One (Personal Air and Land Vehicle). Sealegs built in New Zealand was an all-terrain vehicle that transformed into a high-speed ocean going boat, approximately 500 were built in the 1980s. Designed in the UK but built in South Africa was the C-Donkey (Sea Donkey) a three-wheeled boat that could be transformed into a buggy for buzzing around on land. Peel from the Isle of Man have a couple of pages devoted to them, but I had not realized their first car was called the Manxman or Manxcar with an enclosed fiberglass body on which the circular door pivoted at the rear base swinging upwards and backwards. Of course the Sinclair C5 is included, being described as “an unmitigated disaster.” I just think it was a vehicle designed to be a museum piece. I hope I have given you a flavor of the content; it’s not all oddities I can assure you. 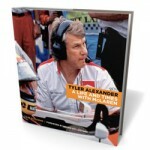 I enjoyed delving into this book. At £25 it must be very good value for money. 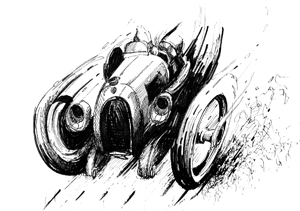 Quiller Print was set up in 2013 to publish motoring books with an emphasis on the strange, the wonderful, and the rare. 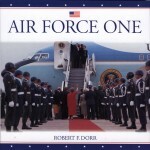 This was their first book and it fits that bill perfectly.